Apple has launched it's new Operating System, the successor of iOS 6. iOS 7 with a whole new User Interface(UI). 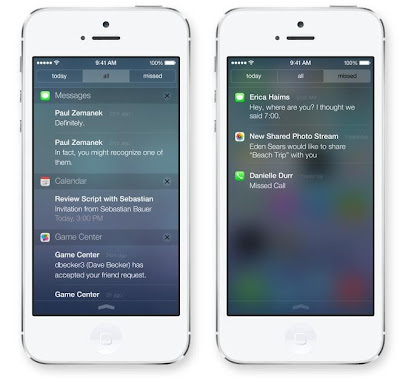 Apple has made a lot of changes in the OS, let us give a look at the top features and changes of iOS 7. This is a new panel available in iOS 7, just by swiping up you can check the control center which display various options and toggle switches like Airplane Mode(On/Off), WiFi Toggle, Do Not Disturb, Screen Rotation(On/Off) and many more. 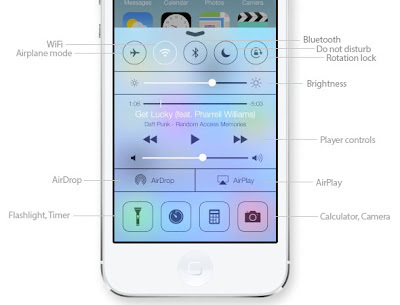 Along with these we can control Brightness, Music Player and Air Play through this Control Center. We can control(Close/Open) almost all Apps like camera, clock with this. 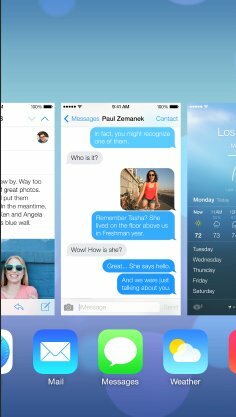 In iOS 7 is a smarter way to Multitasking, it is designed in a smart way that it will know more about what you want to do. It monitors your daily habits and usage of apps, for example if you have a habit of reading news every morning and you make use of BBC app for this, Now this will recognize the daily schedule and refresh itself and provide you with news updates in the morning. 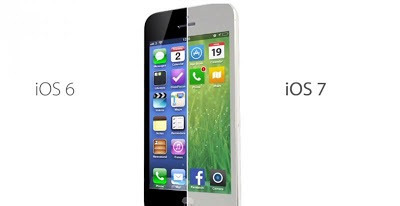 Now this is very modified, with a simple swipe you can change the camera modes like capturing photos or videos. 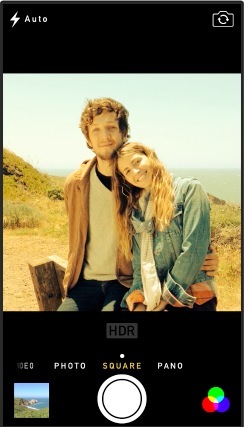 User can capture photos in Still, Square modes. Panorama is made more easy now. Editing is also made simple and smart and the edited photo will be saved to the gallery. No set up is required for this, Users can share photos and other files using Wi-Fi or Bluetooth. As these are encrypted, Sharing is highly secure. 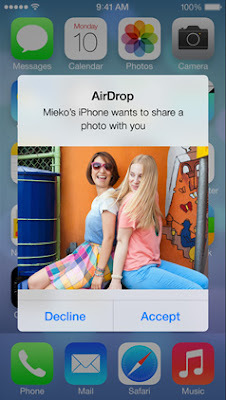 iOS 7 users will be automatically notified about the other users while using Air Drop. 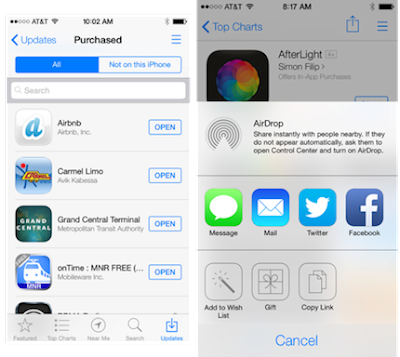 App Store now redefined and can be browsed in an easier way. It shows a collection of all relevant and popular apps in Your current location. Now there is another category available for Kids which displays all Apps for children based on their age.